A team of astronauts fall victim to a deadly bacteria on the red planet. At some point in the future, mankind has finally made it to Mars. 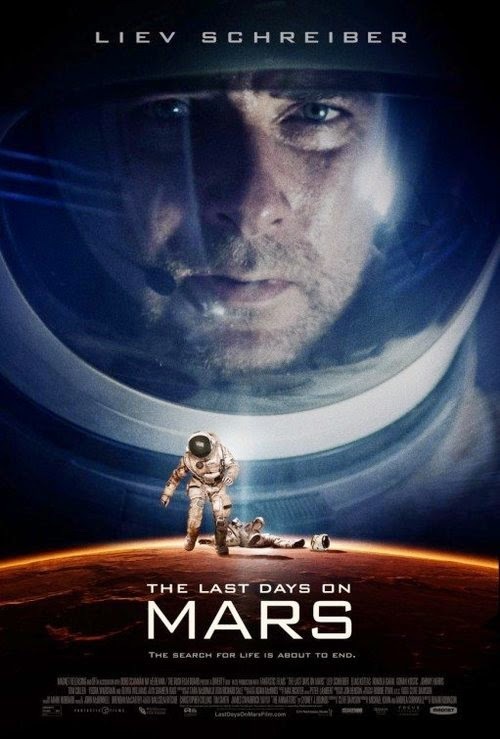 A research crew of astronauts has finished its research tour and is about to leave the red planet when one of the scientists, Marko (Kostic), decides to make one last trip to gather samples he believes may indicate the existence of life on the planet. While collecting these samples, Marko falls into a crevice created by an earthquake. The rest of the crew search for him, but to no avail until he later appears in zombified fashion, the victim of a deadly bacteria that threatens the entire crew. Adapted from a short story by Sydney J Bounds, The Last Days on Mars is the type of movie that was once prolific, first in the Atomic Age of the fifties but again, to a lesser degree, in the late seventies and early eighties in the wake of Alien. Former animator Ruairí Robinson's feature debut is very much a B-Movie, making the most of its limited budget through classy production design and keeping the threat of its antagonist largely offscreen. This tonal decision causes some problems, however, as it seems Robinson is unsure whether he wants his film to be a serious, atmosphere based slice of speculative fiction or a down and dirty zombie movie. Neither aspect is entirely successful but sci-fi fans longing for some old school outer space thrills will find enough to satisfy them for 98 minutes and the recreation of the red planet is highly impressive, thanks to its location shooting in the deserts of Jordan. While CG is present, it's never intrusive and you'll have to go looking for it to find it. Much of what works about the film is down to its impressively assembled cast, particularly Olivia Williams as a Ripley-esque bitchy scientist who cares more about her research than the well-being of her crew. The actress adds an extra touch of class to her scenes but she's sadly under-used. Liev Schrieber has struggled to eke out a career for himself but this seems like the perfect material for him, playing a character similar to Kurt Russell's McReady in John Carpenter's The Thing, a movie Robinson seems indebted to. With that 1982 movie, Carpenter perfectly captured the balance between mood and schlock, something Robinson struggles with here.